Articles on this site contain affiliate links, meaning I may be compensated if you buy a product or service after clicking them. Read the full privacy and disclosure policy here. I’d always enjoyed hiking, but it was only after a wonderful month on the Camino Frances that long-distance walking really became my thing. In idle moments since, my mind drifts back to those long days on the meseta or among the vineyards. The desire to lace up my boots and hit the trail again is hard to resist. Towards the end of my time on the French way, many other walkers were talking about continuing on from Santiago. Not just the three extra days to the coast that I did, but turning south and walking down to Porto. It sounded very tempting. With a flight booked for a few days later, though, I just didn’t have enough time to squeeze it in. Skip forward a year, though, and it was a different story as I planned my next lengthy walk. This time I had about three weeks to devote to it. Knowing I’d be in Lisbon beforehand, picking somewhere on the Iberian peninsula made sense. That narrowed down the options a little, but there are still several different Camino routes just in Spain and Portugal. I toyed with walking parts of the Camino del Norte, the Via de la Plata, and others. They all sounded good, but none felt quite right for this hike. Ultimately I decided to see what all the fuss had been about the previous year, and chose the Portuguese Camino. The most common routes only take 10-12 days from Porto to Santiago, so I had a bit of extra time. I considered starting further south, somewhere like Coimbra or Águeda, but finally decided to return to the Galician coast I’d enjoyed so much the first time around. To throw in an extra twist, I turned the last section into a loop. This meant walking from Santiago to Muxia, on to Finisterre, then back “against the arrows” to Santiago. Note, I’m using the Spanish spelling (camino) rather than the Portuguese one (caminho). This isn’t due to any language preference on my part, but just staying consistent with other posts on the site. Since I was in Lisbon anyway, getting to my starting point in Porto couldn’t have been easier. Trains and buses run regularly between Portugal’s two largest cities, and they’re inexpensive. I booked my train between Oriente and São Bento stations a couple of months in advance, for the princely sum of nine euros. That was a particularly good deal, but tickets booked more than five days in advance rarely cost more than €20. Buses can be even cheaper, but take a bit longer and aren’t as comfortable. In Porto, inter-city trains stop at Campanha station, which is a little east of the centre. Assuming you booked a ticket to São Bento (which costs the same amount), you can use any suburban train from that station to go the one extra stop. Hint: this only applies to trains from Campanha rail station, not the metro stop that’s just outside. Yes, there’s a reason I now know this. If you’re coming from further afield, Porto’s international airport has direct flights from several European countries, and a few other destinations. If you want a Portuguese SIM card to stay connected, there’s a Vodafone store in the arrivals area. That said, Wi-fi is common in albergues, bars, and cafes along the Portuguese Camino. The metro runs from the airport to São Bento, although you’ll need to change lines (or start walking) at Trindade. From São Bento, it’s a five-minute stroll to the cathedral. You can buy a pilgrim passport there if you need one, and get your first stamp in it, before heading to the tourist office directly opposite. The staff there were able to give all kinds of useful advice about the different routes. They had a map for getting out of Porto, and a full list of albergues (hostels) along the way. It’s definitely worth stopping in before setting off on your walk. To get back again three weeks later, I booked a seat on the Santiago/Porto/Lisbon bus a few days in advance. The tourist office opposite the main bus stop in Finisterre was happy to help with this. You can also do it yourself on the ALSA website if you prefer. Since you need to print the ticket out anyway, I just paid the small commission to do it in person. The company puts extra buses on at peak times, but it’s a popular route, and often fills up. If you’ve got a plane to catch, or somewhere else you need to be, don’t wait until the last minute to book. English speakers will generally have a pretty easy time on the Portuguese Camino, at least until they cross the border. Any Portuguese person you meet, especially the younger generation, is more likely to speak English than their Spanish counterparts. While that doesn’t excuse you from learning at least a few words of the language, you’ll be able to get by with English for basic requirements most of the time. In Spain, you’ll benefit from knowing basic “Camino Spanish” to order food, ask directions, and so on. Even there, though, you’ll never not get fed, or struggle to find a bed for the night. Most albergue staff can speak passable English. The rest of the time, even my truly awful Spanish was usually enough to get by! There are only a few guidebooks to the Portuguese Camino. As with the Camino Frances, John Brierley’s version is the most popular among English speakers — and just as when I walked that route, I wasn’t interested in carrying a physical guide. He doesn’t make it available on Kindle or PDF, so again, I opted for an app. Since it’s not as popular a route, there aren’t as many app options out there. 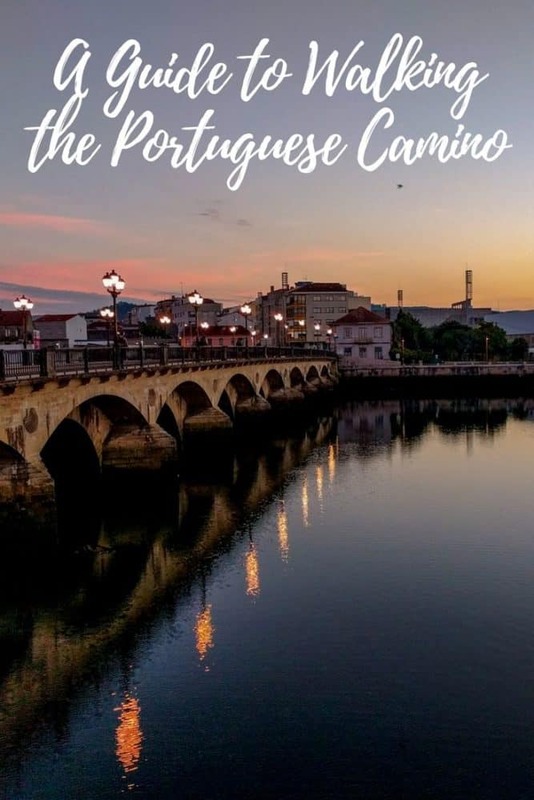 I loved the Camino de Santiago Guide app I used on the Frances, but it doesn’t cover the Portuguese way, so I had to find something else to get me to Santiago. In the end I opted for the Wise Pilgrim app, which was… ok. I didn’t find it as easy to use or comprehensive as the other one, but it covered the essentials. There was generally enough information to get me where I was going with a minimum of fuss. At the time, it only covered the inland route (it’s since been updated), so I was on my own for the first couple of days. More on that below. Just like on the Frances route, Brierley’s book serves a useful purpose even if you’re not carrying it. With many people following his route planner to the letter, knowing his recommended stopping points lets you choose to stay elsewhere for the night if you’re worried about getting a bed. That only works if you know what his suggested route looks like, of course. I asked to take a photo of that page of someone’s book, and used it in my planning as needed. It’s a minor thing, but don’t forget there’s a timezone change when you cross between (in my case) Valença, in Portugal, and Tui, in Spain. Going forward an hour doesn’t make much practical difference at the time, other than getting food before the restaurants close in the afternoon, but you’ll notice it more the next morning. Unless you and everyone else in the albergue change your alarms, you’ll have an extra hour of walking in the dark to contend with from that point forward. Other than making it harder to spot the arrows, dawn is my favourite time of day to walk, so this suited me fine. If you’re not a morning person, you may well have a different opinion. By and large, I used the same packing list as I did on the Camino Frances a year earlier. Rather than repeat every single item, I’ll just outline a few key differences. I’d worn out the 30-litre REI backpack I used on the Frances, and replaced it with a cheap 40-litre Decathlon version. The company sells two models in this size, but the more-expensive one was out of stock at my local store. That left just the Forclaz 40 Air. While it was up to the task, I didn’t love this backpack. The material was very thin, and the frame, while light, wasn’t particularly sturdy. It wasn’t super-comfortable on longer days, even with under 7kg of gear in it. The weight distribution was all wrong, and it never sat in the right place on my back no matter how much I adjusted the straps. Without any real ventilation, it also smelled pretty funky after three weeks of walking in hot temperatures. Overall it was acceptable for a few weeks given the price, but I replaced it with the higher-quality Osprey Talon 44 for my next long walk (along Hadrian’s Wall). Due to the extra room in my pack, there was no need to use a compression/stuff sack this time around. I picked up quick-dry t-shirts from Nike and Salomon that looked more like normal t-shirts than running gear. This meant I could wear them out at night without feeling entirely like I’d just stepped off the trail. This isn’t the exact same shirt, but it’s pretty close. Likewise, having learned my lesson about chafing the year before, I ditched my previous underwear choices. Instead, I just went with three pairs of Under Armour boxer briefs with 6″ inseam. They worked perfectly, with zero discomfort. I swapped out a few other miscellaneous bits and pieces as well. Since I lost my Camelbak water bottle on the last Camino, I replaced it with a Chute model, which worked much better anyway. On the technology side, I took a smaller, yet higher-capacity portable battery, as well as a Kindle for reading in the evenings, and got plenty of use out of both. The fancy sports watch from last time got left behind, replaced with the Fitbit I wear every day anyway. It wasn’t as accurate tracking distances, but was close enough for my needs. Best of all, it only needed charging once every few days rather than each night. Due to a minor knee injury beforehand, I decided to take a single hiking pole this time around. Decathlon sells a few different kinds, and I picked up an inexpensive collapsing model. I also bought rubber stoppers for the bottom, so as not to annoy everyone with endless tapping on paved roads. I didn’t use the pole often, but found it helpful on the few steep sections. On long walks like this, I’m always torn between using solid soap and shower gel. The soap takes up less room and lasts longer, but the gel is nicer to use and doubles as shampoo. This time around I took some nice-smelling soap from Lush. It lived inside one of the company’s little metal containers, sold for just that purpose. The soap worked fine, but I still don’t know which option I prefer. I’ll probably just keep switching between the two on every walk until the end of time. The Portuguese way has a surprising number of variations. There are multiple Camino routes from Porto to Santiago, a distance of roughly 240km (150 miles). The most common trail heads inland. It snakes through Barcelos, Ponte de Lima, Valença in Portugal, then Tui, Pontevedra, and on to Santiago in Spain. An increasingly-common alternative runs mostly along the coast, to Vigo and beyond. There’s also an “interior” path that goes via Guimarães and Braga, before rejoining the main route. None of this includes minor detours like the “spiritual variant” that branches off for a couple of days after Pontevedra. It’s all a bit complicated, especially because there isn’t much information on anything other than the most common approach. It also doesn’t help that people often use different names to describe the same routes. In the end, I decided to go for a bit of a mixture. The standard route out of Porto is through ugly industrial parks, which didn’t sound fun. Instead, I chose to walk out to the beach suburb of Matosinhos on the afternoon I arrived. The path isn’t marked with arrows, but it’s almost impossible to get lost. You just need to follow the north bank of the river, and then the ocean, for around 10km. There are more direct routes, but they’re nowhere near as attractive. As there were no albergues nearby, the options of where to stay in Matosinhos were quite limited. In the end I chose Pensao Central, a lovely little walker-friendly hotel that I liked a lot. I’d happily stay there again. The following morning, I saw my first arrow just after crossing the bridge over the Rio Leça. They were pretty frequent the rest of the way to Vila do Conde, a lovely 24km walk. Once out of Porto, the track was almost entirely on boardwalks through the sand dunes. Even with coffee and photo stops aplenty, I still arrived two hours before the shiny new municipal albergue opened at 3 pm. A great excuse for a lengthy lunch and one too many wines, really. 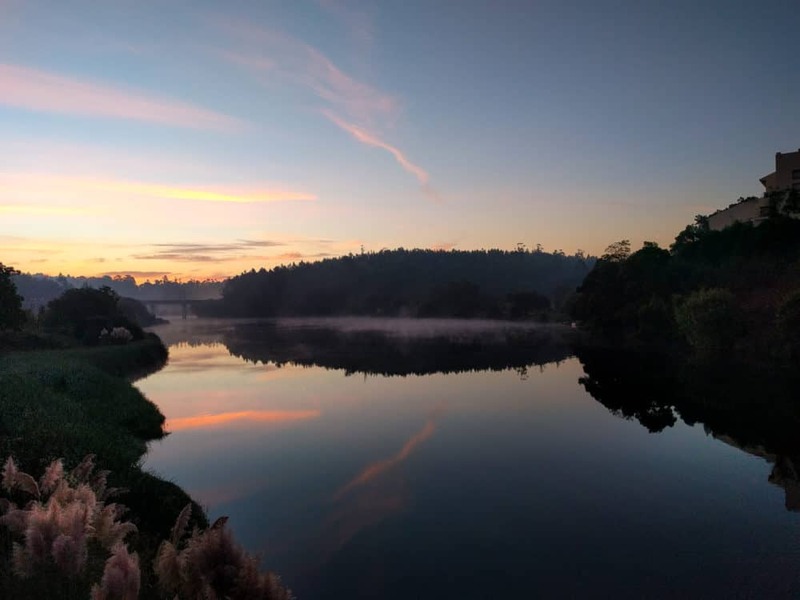 With a long day ahead, I was walking before sunrise the next morning. My route saw me heading back inland to rejoin the main Camino trail at Rates, then on to Barcelos. There’s apparently a sketch map for this in Brierley’s guidebook, but the albergue had a photocopied map that laid out the basic route. Just as well, really. I didn’t spot a single arrow between Vila do Conde and the small town of Touguinha. The 34km to Barcelos passed quicker than expected, helped by a couple of hours on soft trails through the forest. It was nice to not be wearing my feet to stumps on cobblestones and asphalt. If only I could say the same for the rest of this Camino! While the municipal albergue was nothing to get excited about, the BBQ chicken dinner at Furna restaurant certainly was. Without conscious thought, my time on this Camino was already settling into a routine. Short day, long day, repeat. With few exceptions, I kept it up the whole way, and the approach worked well. I felt less rushed than on the Frances route the year before. I’d needed to meet a friend in Santiago to walk to Finisterre together, with a flight booked for shortly afterward. This time around, I didn’t particularly care how long it took me. I often stopped for the night just because somewhere seemed appealing, or if I just didn’t feel like slogging through another 30+ kilometre day. Nowhere was that flexibility rewarded more than in Outeiro. This tiny village has no services whatsoever… but it does have Fernanda. Her house was widely praised in my app and online forums. Although it was apparently usually fully booked, I had to go in and ask when I saw the sign out the front. With barely a dozen beds (yes, real beds, not bunks! ), my hopes weren’t high — but luck was in. There was one spot left, and I took it without a second thought. Sitting in the backyard later that afternoon, with grass between my toes and a cold beer in hand, remains one of my favourite memories from any long-distance hike I’ve done. Fernanda herself was absolutely lovely, and dinner was exceptional — pork, chicken, potatoes, salad, wine, and port all made an appearance. Her cooked breakfast the next morning was the perfect start to the day. It was the warmth and friendliness that stood out the most, though. People talk of “Camino angels,” and with nothing ever seeming too much trouble, Fernanda and husband Jacinto are definitely that. I’ve never stayed anywhere like Casa Fernanda. If you get the opportunity yourself, take it. I’d planned to stop in Ponte de Lima the next day, but arrived there before lunchtime. After a quick look around the town and its famous bridge, I decided to continue on. The first real climb of this Camino came not long afterward, up a steep hill just outside Arco, and I was pretty tired by the time I limped down into São Roque that afternoon. On the upside, what I had assumed was an overpriced albergue (Repouso do Peregrino) turned out to be an inexpensive pensione instead! A clean private room, with my own bathroom, breakfast, and laundry included, for 15 euros? It was a no-brainer. A vague plan to stay in Valença on the Portuguese side of the border the next night became a firm plan to stay in Tui on the Spanish side, when I walked past a sign in the former town saying the large municipal albergue was closed. I later heard from another walker that it had been shut due to a bedbug outbreak. Pretty happy to have dodged that particular bullet. Switching over in my mind from bad Portuguese to bad Spanish took several hours. That’s roughly as long as it took me to buy a Spanish SIM card, and remember to change the time zone on my phone. Oops. The next day dawned hot, sunny, and full of paved roads, although a couple of alternative routes avoided the worst of it. 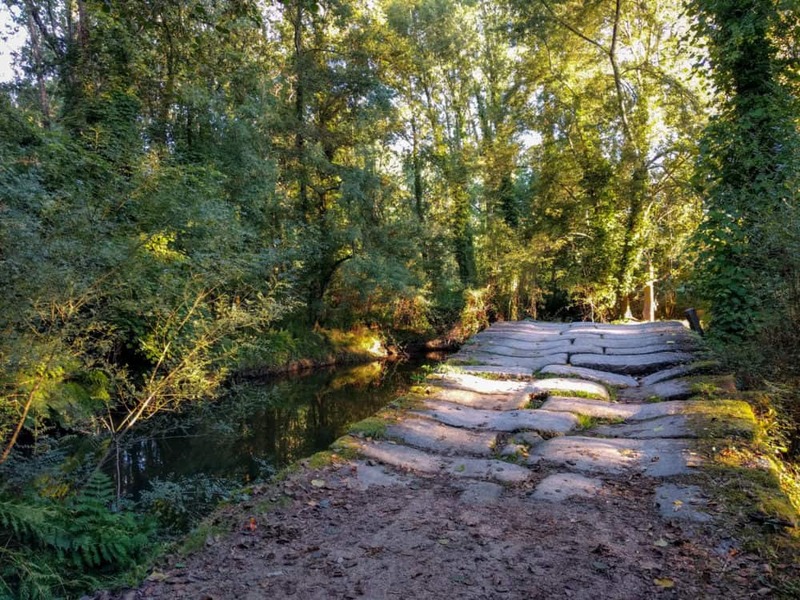 That included a lovely riverside path in O Porriño, where the arrows beforehand had been blacked out by dodgy shop owners who wanted you to slog along the main road past their cafes and bars instead. No thanks. Still, by the time I got to the tiny village of Mos an hour and a half later, I was seriously considering stopping there for the night. When the cafe owner offered me calamari for lunch and pulled a frosted glass out of the freezer for my clara, the decision was made. It was a great choice in the end. The albergue was simple but spick and span, the food was good, and everyone I met there seemed particularly relaxed, even by Spanish standards. Happy days. The trek to the good-sized town of Pontevedra the next day also had too much road walking. Are you sensing a theme yet? Again, though, there were some lovely stretches, usually on alternative routes. Pontevedra itself was beautiful, the kind of place I’d happily return to for a couple of nights. If you’re thinking about taking a rest day somewhere along this part of the route, that’d be the place to do it. After taking a month to get to Santiago on the Frances route the year before, it seemed strange to be almost within sight of the cathedral after less than a week and a half, but indeed I was. With no real idea how best to break things up, I opted to stop after barely 20km the following day, in the tiny hamlet of Tivo. Highlight? Being pointed to the village fountain when asking where to wash my clothes. Trust me, I got some great looks from other walkers. A thick, cold fog descended overnight, and I could barely see where I was going as I crept out of town before dawn the next morning. It didn’t lift until mid-morning, and I didn’t feel warm again until I stopped for lunch. Meeting a couple of friends on the way into Padron, we ended up eating and drinking too much at a bar beside the river. They easily convinced me to abandon my plans to stay there, and continue on to Faramello with them instead. The walk was a bit of a slog along minor roads, and the staff at the very-full albergue the grumpiest I’d encountered so far. Still, there was a bed, food, and wine. By that stage, it’s all I really needed. The stroll into Santiago the next morning was exactly that: a stroll. Coming in from the south rather the east the year before was about a million times prettier, all wooded trails and sweeping views rather than slogging past the airport and through the suburbs. After saying a quick hi and bye to the scaffolding-covered cathedral, our attention was drawn to more pressing matters: the supposedly-cheapest beer in central Santiago. At €1.50 for a large glass, I wasn’t inclined to test the accuracy of that claim elsewhere. I was, however, inclined to have another. 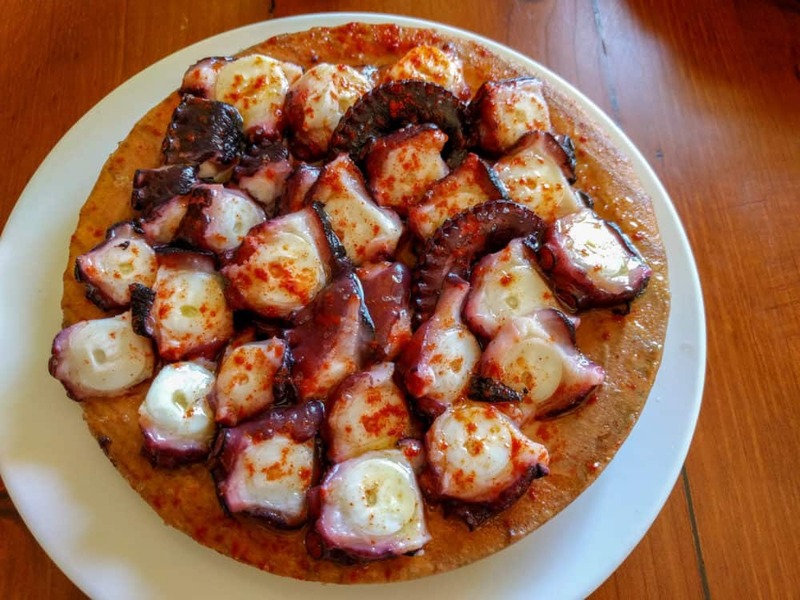 Even better than the beer was the pulpo at Bodegón Os Concheiros, a restaurant specialising in the Galician-style octopus I’d loved so much the year before. Washed down with hearty pours of local wine, it was the perfect way to celebrate the end of this section of my Camino. Staying at Hostel La Salle has become part of my Santiago routine, and again it didn’t disappoint. It’s one of the cheaper places to get a private room in the city, in a good location, clean, and quiet. There’s a reason I keep going back! The next morning, I felt like my life was on repeat. Out the door, past the darkened cathedral, following the arrows out of town. On through the woods, a quick glance back at sunrise over the glowing city, then turning for the ocean. I’d long said the final march from Santiago to the coast was my favourite part of my previous Camino. That wasn’t about to change. I followed my tracks almost exactly for the first two days, staying in the same towns, even the same albergues, as the year before. Not much had changed, just different faces, different backpacks, different dirty boots lined up beside the door. There aren’t that many options if you want to get to the coast in three days. Again I slogged through the heat to Vilaserio on the first day, then dodged rain showers all the way to O Logoso on the second. Another thing that hadn’t changed? The views, and for that I was very grateful. On the third day, after the worst night’s sleep of any Camino due to a snoring Korean dude in the bunk above me, I broke right at the junction and tiredly grumbled my way towards Muxia. I couldn’t be unhappy for long, though, thanks to the soft trails, lovely views, new friends, and finally the lighthouse and pounding surf at the end of it all. With nothing beyond but endless ocean, my spot on the rocks alongside the crashing waves felt like the end of the world. The group of us got a private room at the brand-new (and really rather wonderful) Bela Muxia hostel, I slept the sleep of the dead, and all was right with the world once more. If I thought the previous day was glorious, it wasn’t a patch on the trail between Muxia and Finisterre. With virtually no roads at all, spectacular views, sunny weather, and the world’s largest bocadillo (baguette) at the lone bar around the halfway mark, it was one of those few days where 30km on my feet didn’t feel anywhere near long enough! It didn’t hurt to end up on the beach in Finisterre, of course. That’s where I ended my Camino the year before, and it held plenty of memories as a result. Plus, y’know, it’s really pretty. Deciding to spend the following night there as well took, oh, about three and a half seconds. Once I finally dragged myself out of Finisterre, I discovered something interesting. Despite having walked literally every step of that path back to Santiago before, it was much easier to get lost going the opposite way. The track is only marked in one direction. That meant keeping a close eye out for arrows pointing west, then trying to work out where people would need to be coming from when they saw them. Most of the time, I got it right. The rest of the time, I definitely didn’t. Thankfully Spanish farmers and grandmothers are a helpful bunch, gently steering me back on track when I started wandering down another wrong laneway, or through a field I shouldn’t have. To keep things interesting, I chose to stay in two new villages on the way back. First up, Olveiroa, and the world’s dreariest municipal albergue. Hint: stay in the other albergue in town, which is apparently nicer. It also has an attached bar and restaurant that I may have spent quite some time in. I spent my second-to-last night in Negreira, a decent-sized town with several bars and albergues. I opted for Albergue Lua — a good choice, since there were maybe half a dozen people in a 40 person dorm. I could barely see the others, never mind hear them! Perfect. Just to prove I still didn’t know where I was going, I managed to take a brief wrong turn getting out of town the next morning, and a much-longer one after lunch. As a result, I didn’t get into Santiago until mid-afternoon despite the short distance. Still, with glorious weather, another new friend, and the knowledge that the only walking I’d be doing the following day was to the bus station, it really didn’t matter how long it took. And that was just about the end of that. Just one more plate of pulpo at Bodegón Os Concheiros, one more night at Hostel La Salle, and my Camino was done for another year! Overall, there was plenty to like about walking the Camino Portuguese. Despite apparently being the second-most-popular route after the Frances, it felt dramatically less busy, at least starting in mid-September as I did. Accommodation was easy to come by, with several beds available in almost every albergue I walked into. Food — the biggest complaint of many walkers on the Camino Frances — was generally good, especially anywhere near the ocean. Wine, as it so often does in southern Europe, flowed freely. 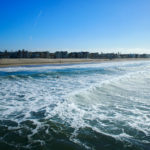 The geography was relatively flat, and although there wasn’t quite the same range and frequency of accommodation as on the Frances, it was still easy to break things up according to how far I felt like walking. I averaged about 25km per day, but that could easily have been 20km or less had I wanted to. While the loop from Santiago to the coast and back isn’t technically part of the Camino Portuguese, I loved it. The extra distance turned an 11-day walk that would have felt a little too easy into a decent, nearly three-week challenge. As good as this Camino was, however, it wasn’t perfect. There was simply too much time spent walking on roads and cobblestones. Even with worn-in boots and two pairs of socks, my feet — and those of everyone I met — took a battering from hours on hard, uneven surfaces. Excessive road walking is a common complaint from many pilgrims. This was the third Camino route I’d walked part or all of, and while there’s been too much time on concrete and cobbles on all of them, this was the worst of the bunch. Maybe it was due to the time of year, maybe it was the shorter and easier nature of the walking, but the demographics of the Camino Portuguese definitely skewed older as well. While there were still many people in their twenties and thirties, the majority were 50+. I’ve got no problem with that — hell, it won’t be all that long before I’m in that age group myself — but for whatever reason, I didn’t make the same strong connections or form the same “Camino families” as on the Frances. I met a few interesting people along the way, but those friendships only lasted two or three days, not two or three weeks. That’s the way it goes, I guess, and of course things could have been totally different if I’d started walking a day earlier or later, or happened to pick different albergues, or any one of a dozen other variables. 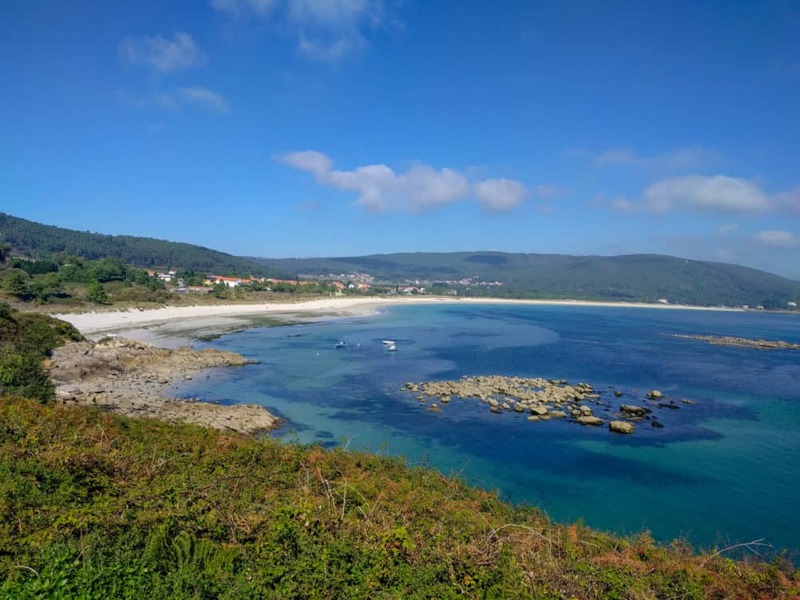 Finally, other than that first day along the Portuguese coast and the loop out to Finisterre and Muxia, the scenery and views were a bit hit and miss. There were some gorgeous spots, lovely old villages, and wonderful hours on dirt trails and shaded paths. There were also plenty of dry fields, barren plains, and sprawling factories. As with most Camino routes, unspoiled wilderness this was not. With those things in mind, how would I rate the Camino Portuguese? The Porto to Santiago route was straightforward, relatively easy, with good food and accommodation options. Fitting easily into a two-week vacation, it’d be the perfect introduction to long-distance walking. It wasn’t my favourite Camino (that’d still be the Frances), but I’m still very happy to have walked it. If you’re considering it yourself, I’d highly recommend adding at least the four days from Santiago, through Muxia, to Finisterre. It’s just such an enjoyable section, and finishing your Camino on the beach, having run out of land to put your feet on, gives a greater sense of completion than even the cathedral itself. Enjoyed this post? Pin it on Pinterest! 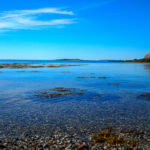 Why the Hell Did It Take Me so Long to Go to Maine? Thanks again for the great Camino info! I will bookmark this article for later this year. What do you think about starting in Porto, going to Santiago, looping around Muxia and Finisterra, then walking the French way in reverse? Any problems (not social, so not very worried about missing the friendship opportunities by going the opposite way)? 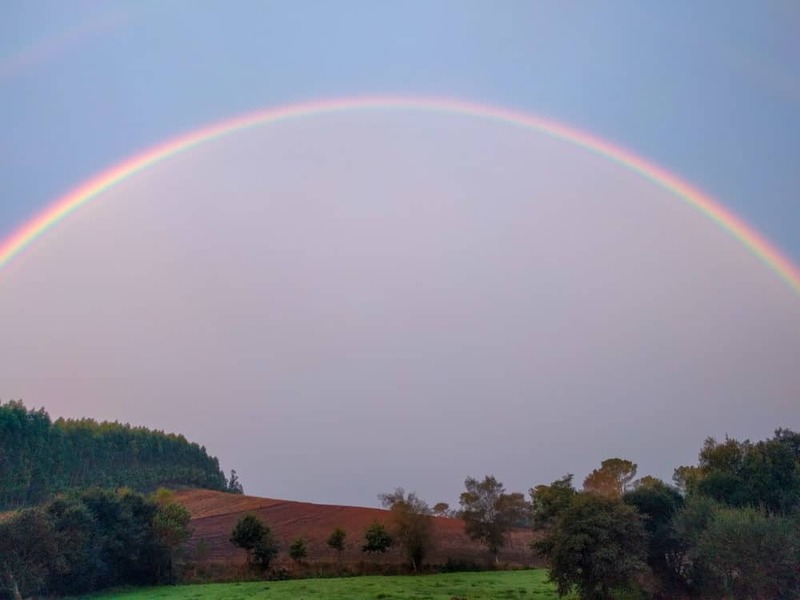 Gorgeous pics – especially the one with the rainbow! 1) did you just show up and arrive at accommodations or did you book in advance? 2) do you eat your meals at the accommodations you stay at? 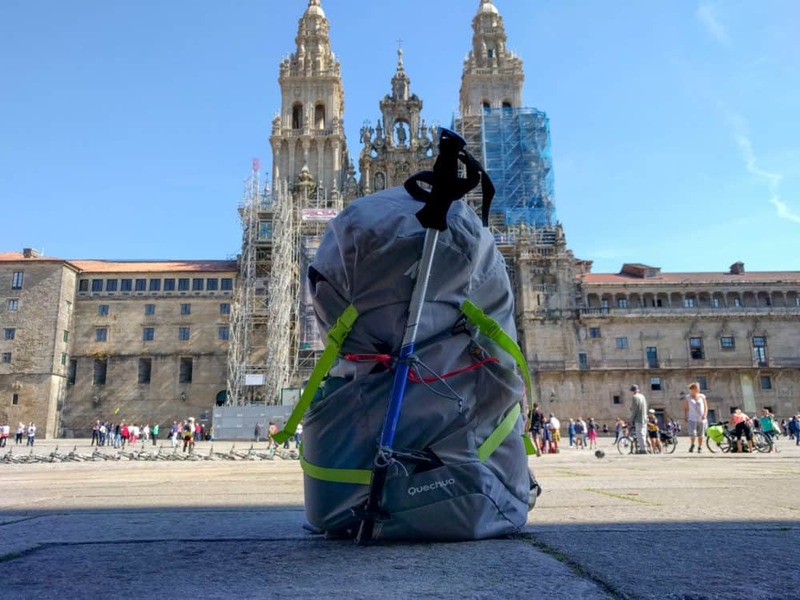 3) if we wanted to send our big bags onwards to the next town, or even to Santiago, did you come across many accommodations who would do that for you? 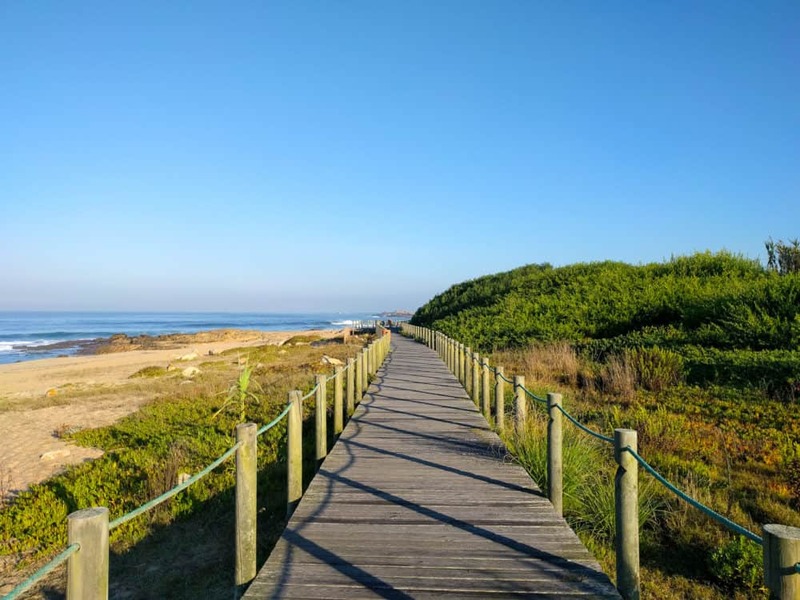 – I booked the first night in Porto/Matosinhos, and each of my two nights in Santiago (details in the post), because good affordable accommodation options are limited in both cities. For the rest of the time, I just showed up at the albergues, and it was fine. – various companies offer bag transfer services, where you leave your bag at your accommodation in the morning, and they pick it up and transfer it to wherever you specify by the time you arrive there. Obviously this means you’re limiting yourself in terms of where you’re going to stay that night, though. I know it’s possible to send bags all the way to Santiago when you’re walking the Frances route, but not sure about the Portuguese route — you’ll need to do some research on that one. We only have 7-8 days to walk, is that doable? If you’re happy to walk 30+ kilometres every day, mostly on roads and cobblestones, it’s physically possible, but it’ll be pretty challenging, and you’ll have no time to linger or explore anything beyond the trail itself. Personally I wouldn’t try to do it in quite that short a time, but obviously it’s entirely up to you. Thanks, we may have to start north of Porto in order to enjoy it. 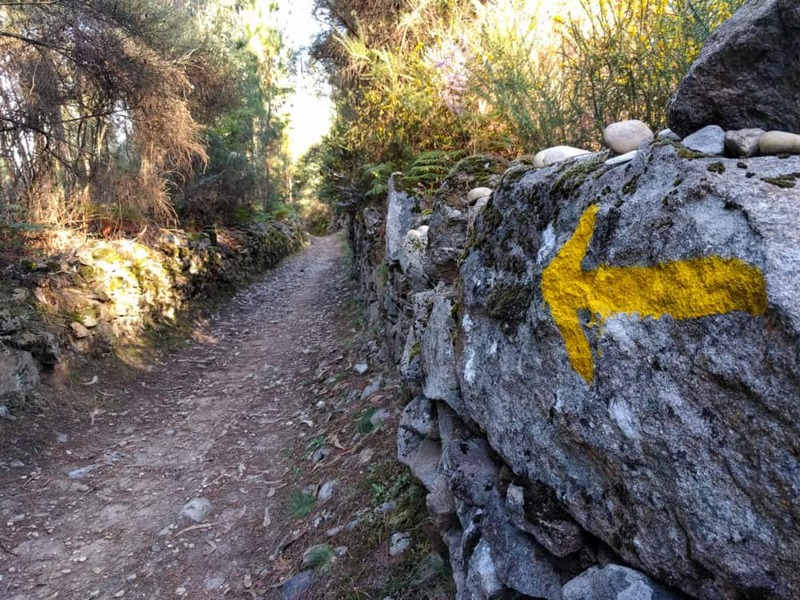 Just to throw a random idea into the mix, if you haven’t walked the Frances route yet, you could also consider walking from Saria to Finisterre and/or Muxia. It’ll take 7-8 days, and gives you both the satisfaction of walking to the cathedral in Santiago, and the lovely walking from Santiago to the coast. Those 3-4 days on the Finisterre route are some of my favourites of any of the Caminos I’ve walked. Food for thought, maybe, unless you’ve walked the Frances already. 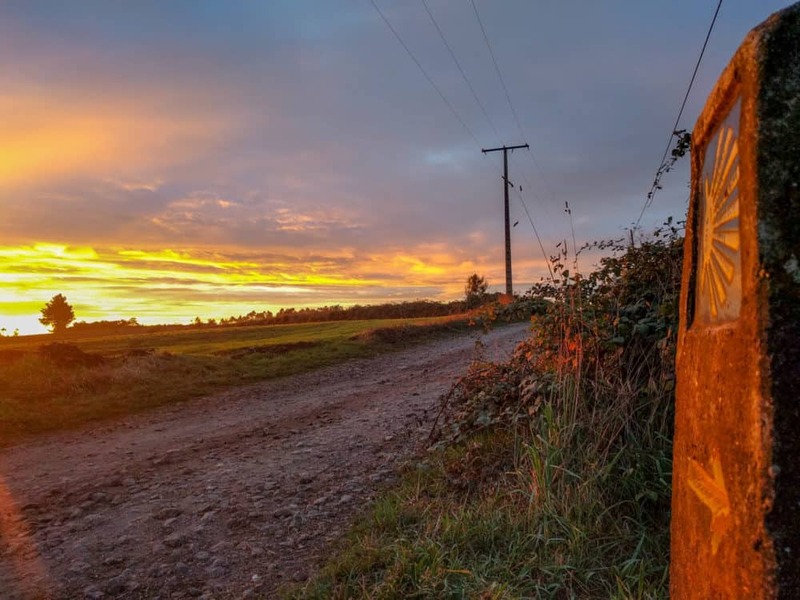 hi Dave, Im a 4x camino walker, my more recent one from Porto to Santiago, I enjoyed it but also found it rather a lot quieter than the Frances, not as many pilgrims, which i think adds atmosphere and seems essential and intrinsic to the sort of Caminos I have enjoyed walking, despite the fact that each one of my experiences have had a combination of spiritual and just sheer fun and happiness ! 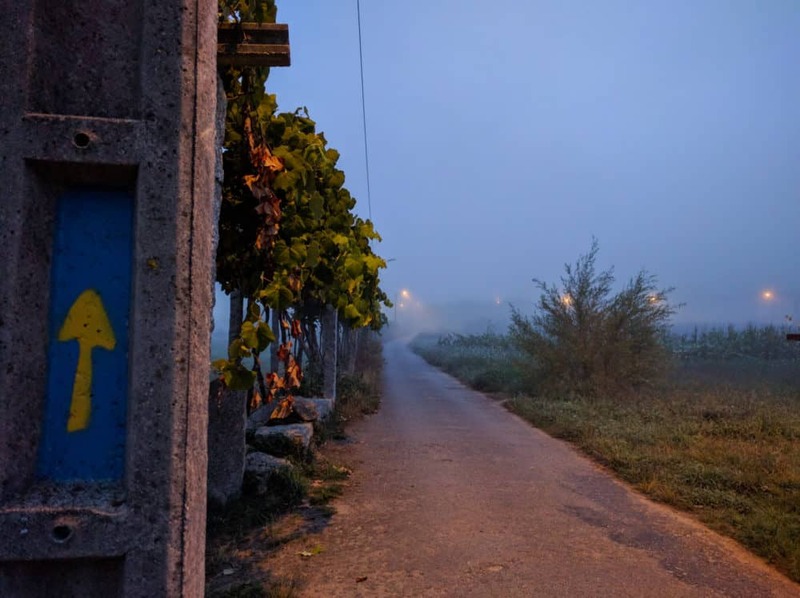 i often just get a’ camino moment,’ walking into a coffee shop, when its raining outside, and early morning preparing for a hike in darkness, hearing spanish being spoken, and just dreaming about my next! 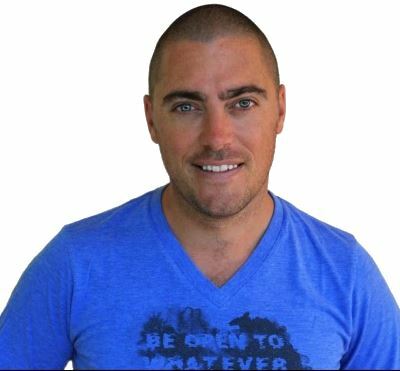 Ive really enjoyed reading your story and would love to be on a mailing list for more stories from Dave! theres next? Patsy Groll, Cape town, south Africa. Yeah, I definitely found the walk from Porto to Santiago to have a lot fewer people on it. It picked up a bit from Santiago to the coast and back, but of course still nothing like the Frances route, especially the last few days of it! You’re welcome to sign up to get emails from me — there’s a little box on the right-hand side (or at the bottom, if you’re on mobile). 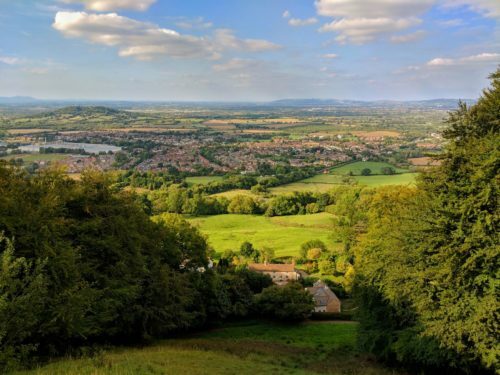 Next longish walk for me is probably the week-long Cotswold Way in the UK in August, and I’ve got plans to walk the Camino del Norte next year, in either spring or autumn! Thanks for sharing your experience. I’m considering doing the Porto to Santiago route starting in the next couple weeks and haven’t had much time to plan it. I wanted to due the full route from Lisbon, but unfortunately am going to be limited to 2 weeks. After your recommendation about the route from Muxia to Finisterre, I’m going to do my best to fit that in as well. To clarify, is Finisterre the same as Fisterra? Finisterre doesn’t come up on the map for me. This is my first long walk for me, but I workout regularly and feel comfortable walking longer distances. I’m 42 and in good health. Are there and risks / concerns I should think about before pulling the trigger on the trip? Yep, those are two names for the same place — Fisterra is the Galician name, Finisterre is the Spanish name. You’re the same age as me, and I honestly can’t think of too many risks or concerns to be worried about if you’re in decent shape and are happy walking, say, 15 miles or so. Obviously doing it every day for a couple of weeks isn’t the same as doing it as a one-off, but as long as you have good shoes and socks, and listen to your body, you should be fine. I used this post as a blueprint for my camino from Porto to Santiago this July, and I even stopped at Fernandas and haggled to get the last bed. I’d like to thank you for inspiring me to take the Portuguese. 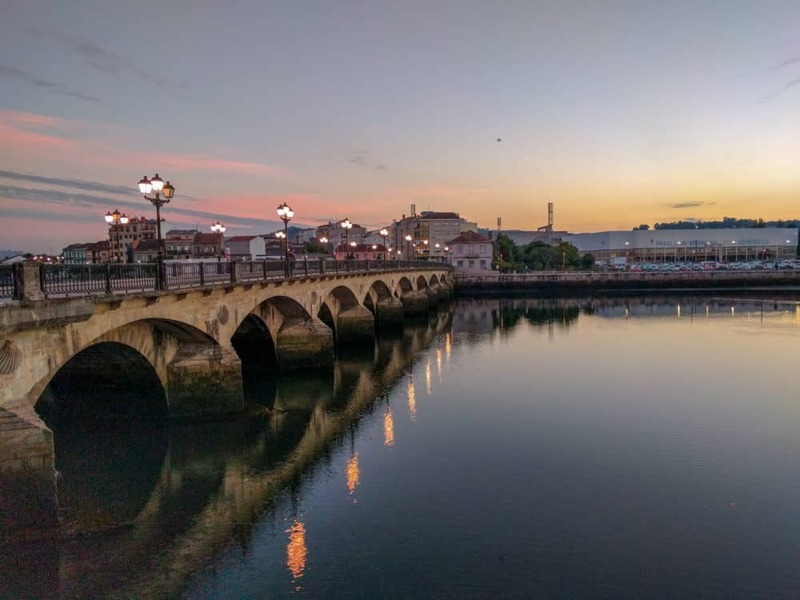 I recommend to you and anyone starting their trip from Portugal to do the “Spiritual variant” when you reach Pontevedra. 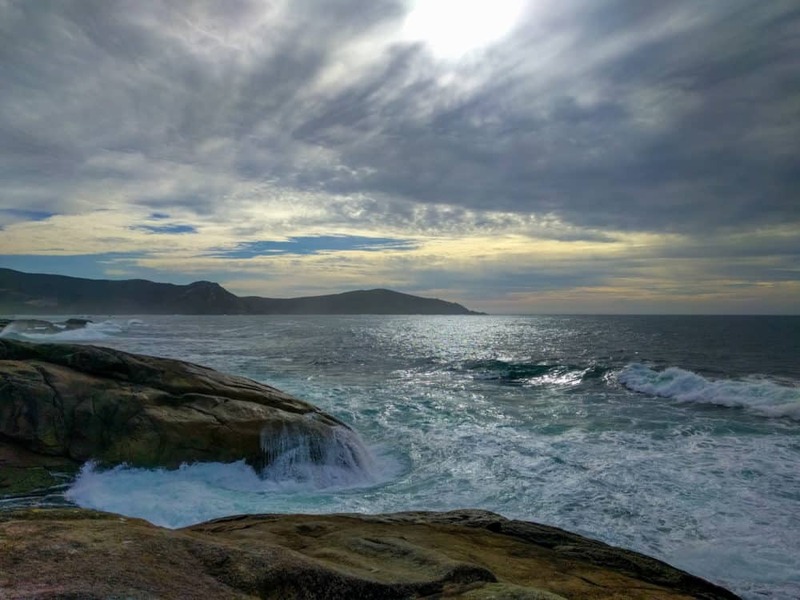 The Galician coastline is breath-taking and dramatic and it was the highlight of my trip especially a hard earned one day beach-break on Isla de Arousa. I will definitely be back to do the Camino again to trek to Finisterra. Also I borrowed heavily from your backpack post to select my supplies and the information was indispensable, clothline and pegs included! Thanks for everything Dave I really appreciate finding your blog. Great stuff, Tarek, and thanks for the kind words. 🙂 I’m so happy you managed to get the last bed at Fernanda’s place — she’s wonderful! I very nearly took the Spiritual variant — based on your experience, I’ll definitely take it next time! There were brochures about it in my accommodation in Pontevedra, and someone has uploaded a copy of that brochure here, which you might find useful for more info. I found your site doing research on the Portuguese Camino, thanks for your detailed blog posts. I am walking this last week of October into the first two weeks of November, with time on either end to see Lisbon and Porto. A local long distance hiker friend walked this two years ago with his wife and after seeing his presentation, put it on my hiking list. He did mostly the coastal route and the Spiritual variant and I plan to do the same as well as tack on a one way to Finisterre. I am trying to figure out if we’ll have trouble finding accommodation in November, October seems to be ok. I found a forum listing all the albergues and hostels along the route but barring emailing each of them, not sure who is open that time of year. Do you have any idea? I didn’t love the Wise Pilgrim app that I used on the Portuguese camino, but one thing it did have was the “season” for most of the albergues, whether that’s all year or limited months. Other guides and books may have the same info, of course. Thanks Dave for a very detailed and informative blog. I am late 50s, and not particularly fit – so planning to do a 100km Camino next September, to give myself time to work up to it. I was interested to see your mention of the demographic for this route; making me think this is a better choice than my original plan of the English Way from Ferrol. I’m thinking 15-20km max a day is a reasonable and realistic pace – do you think there would be stops with accommodation at these sort of distances? Is there a website or app you could recommend that would help me plan these daily distances? 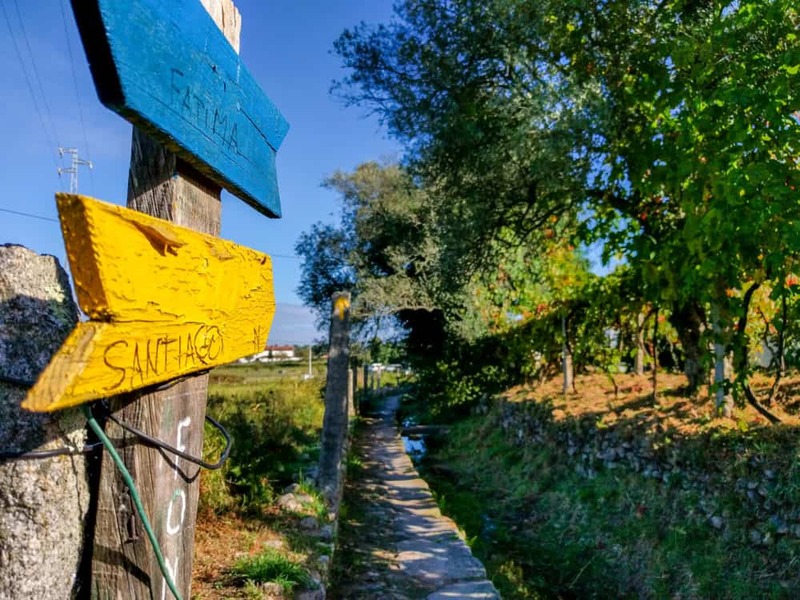 Yep, it sounds like the Portuguese Camino would be a good option for you! 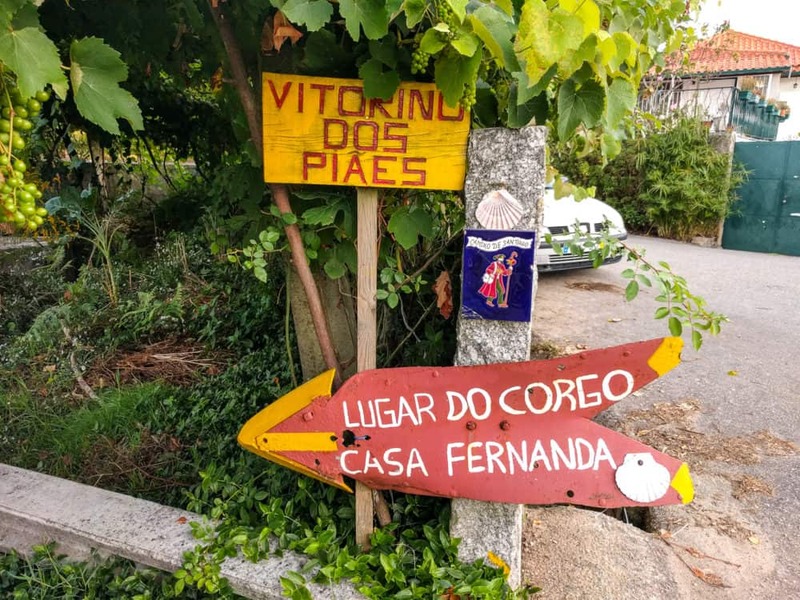 From memory, I *think* you should be able to find accommodation every 15-20km between Porto and Santiago, but you’ll definitely want to check that. Both the book and app I mentioned will give you the info you need to plan an appropriate route. Don’t forget, too, that there’s always the option of calling a cab to take you to the next town if you need it (and if you want to, taking one the next morning back to the point you left off), so if you can’t find accommodation within a comfortable distance on a particular day, you’re not stuck! I enjoyed your blog very much. I too, have hiked El Camino Francés, and plan to do El Camino Portugués next May. Your blog was informative and a good read! Obrigado! 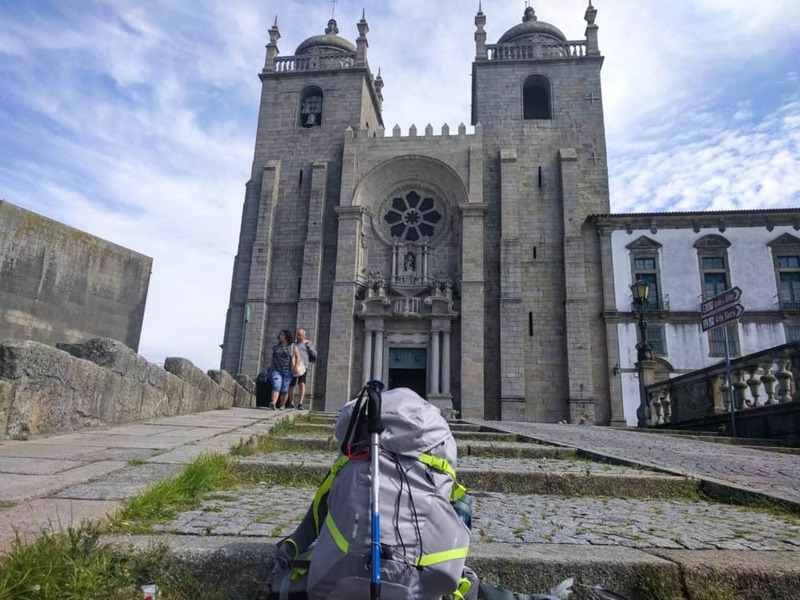 My daughter and I are thinking about doing this Camino Portugues around 26October for 5 – 6 days… it’s just to get an idea… we don’t really have any more time than that. Your blog has very much wet my appetite… Hopefully it won’t be too wet and too cold…. we’ll be in the hand of the Gods!! Great blog. Really inspiring. Some friends of mine are planning on this walk in the early spring next year and Inwas planning on joining them. However I am worried about the amount of tarmac/road walking involved – pretty sure my feet won’t stand up to too much of that (having twice had plantar fasciitis). What proportion of your route was on hard surfaces? Thanks. 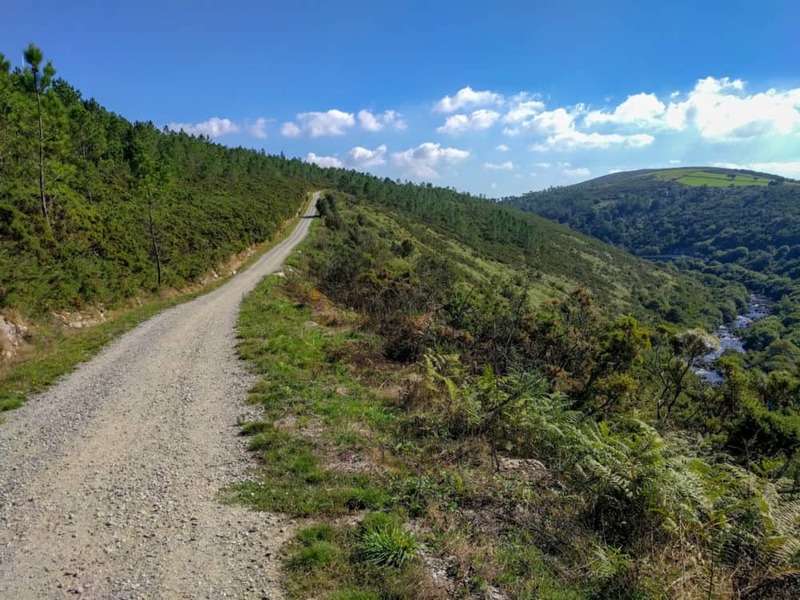 Honestly, if you’ve had problems with plantar fasciitis and are concerned about large amounts of tarmac/road walking, the Portuguese Camino likely isn’t for you. It had a higher percentage of time on tarmac/concrete/cobbles than the Frances (which isn’t exactly renowned for being ‘soft trails’ either! ), and my feet and knees weren’t thrilled about it. I couldn’t tell you exactly what proportion of the route was hard surfaces vs other, but I’d suggest it was at least 2:1, and probably more. My sister and I have booked flights to do the Portugues camino June/July next year. We’re leaving on the 14th June from South Africa. We’re going to walk Porto – Santiago Route (for about 2 weeks). I hope the weather would be good that time of year…….. ? ? What do you think? We are planning to courier our bags every day and just carry a light weight back pack with us. A friend of my sister who has walked the camino a few times suggested it. I’m 46 and she is 48 and want to travel a bit for 1 week after. I am still busy reading your info – very interesting – thank you so much. The weather should be lovely, albeit potentially quite warm, in northern Portugal and northwest Spain that time of year — May/June or September/October would be my pick for walking any of the Caminos in that part of the Iberian peninsula. The Wise Pilgrim app I used listed when each albergue was open — year-round, or specific months. Other apps and guidebooks probably do as well. Some albergues will definitely be closed in November, so you may need to work out a route and distances that accommodate that, and/or consider alternative types of accommodation in some places. Thanks for the info, this is great. I’m considering doing this route in late January. I know it’s not an ideal time weather-wise but it’s the time I have off. It looks like I should check that app out to get dates that the hostels will be open. My main question is whether or not the route is remote enough that, as a young woman, I won’t feel comfortable doing it alone. How much of the route is through villages and how much of it is remote? The route runs from village to village, town to town, and there weren’t many parts that felt particularly remote. There are a few places where you’ll be walking in woodland etc for a couple of hours, though, and they did feel a bit more isolated. That said, my experience was in September/October, not January. I’d imagine there’d be very few other people walking it at that time, and fewer people out walking around in general, so everything will probably feel more isolated just because of the time of year. At which Catherdral in Porto do you get your Credential? There’s only one cathedral in Porto. It’s about a five minute walk from Sao Bento station in the city centre. Hi Dave thanks so much for your very interesting blog. I am very interested in doing this walk (I am from Cape Town, South Africa) – I am not a hiker, but a runner – so not really walking fit – and am very uneasy on trails,etc – don’t mind gravel, or sandy paths etc, or cobble stones. I am thinking September/October – 116k from Portugal for 5 days. Would it be ok to do it by myself – even though I am awful with directions. Thanks. I can’t imagine you’d have many problems — the waymarking is pretty good, especially if you stick to one path and don’t try to join up different ones like I did on the second day, and there’ll be other walkers around in Sep/Oct as well. The reality too is that because the Caminos (especially the Portuguese one) go from town to town, if you did take a wrong turn, you can always just find a road and use Google Maps to follow it to the nearest town or village that’s back on the route. Take a guidebook (physical or app) with you so you know where you’re aiming for each day and which other towns/villages are along the way, and you should be fine. Hi Dave, I’m doing the Portuguese Camino route this year, late May/early June. I’ve been having troubles finding footwear I like. The lightweight boots I’ve tried so far haven’t been comfortable. Would trail running shoes work? How sturdy do my shoes need to be? What footwear suggestions do you have? Thank you! I personally wouldn’t choose to walk the Camino routes I’ve done in trail running shoes, because for me they don’t have enough support or weather resistance for walking for weeks in a variety of weather, but I’ve seen the occasional person who does. 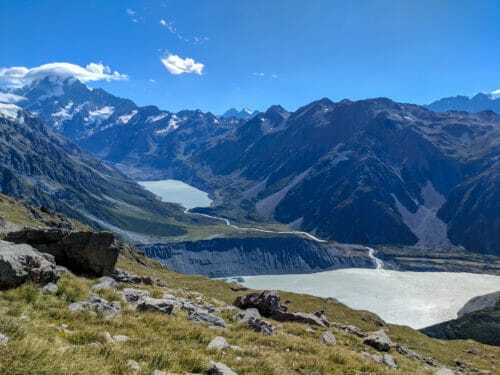 My packing list has details of what I use – it’s a hiking shoe rather than a boot, which I like because it’s quite lightweight and doesn’t get too hot and sweaty, while still being pretty sturdy, somewhat water-resistant, and having good grip. I don’t like full or even mid-height hiking boots for the Camino — you rarely need that level of ankle support, and they’re quite heavy, with extra chafing and blister potential. All that said, the most important thing is that your footwear is as comfortable as possible, because blisters and other foot injuries will ruin your walk quicker than anything else. Thank you so much, Dave! I am planning to start this on 15 March 2019, short notice and doing it sole. Also a first timer. Will do your route and the part to Finesterre. Is there a bus back to Santiago? Do you think I will encounter rain? The app you mentioned, I suppose it would be updated now? I need as much info as possible. John Brierly’s book is good. Both times I’ve been there, there were buses at least every couple of hours from Finisterre back to Santiago. The service may be reduced outside the summer season, but I’d be amazed if it didn’t run at all. You’ll almost certainly get rain in northern Portugal and Galicia that time of year. The app I mentioned continues to get updates, most recently last November. Nice article, very informative. Thanks Dave👍. By the way, how did you go with the osprey talon 44? I am looking at getting one to do the Camino Finisterre. 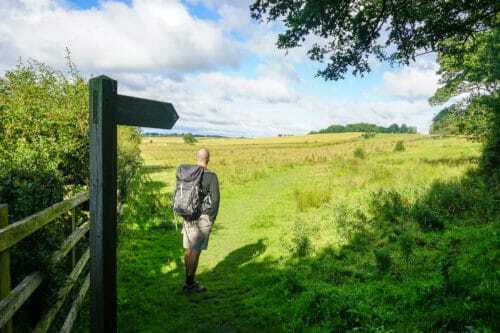 It was great while walking both Hadrian’s Wall and the Cotswolds Way in the UK. I’ll definitely be using it on the Norte/Primitivo route when I walk it later this year. Thank you Dave, an amazing article! 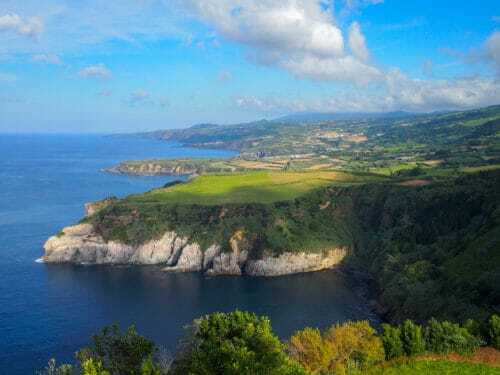 I was set on doing the Portuguese Camino from Porto along the coast this May, however, after reading your article I started second guessing myself whether I should do the Camino Frances. 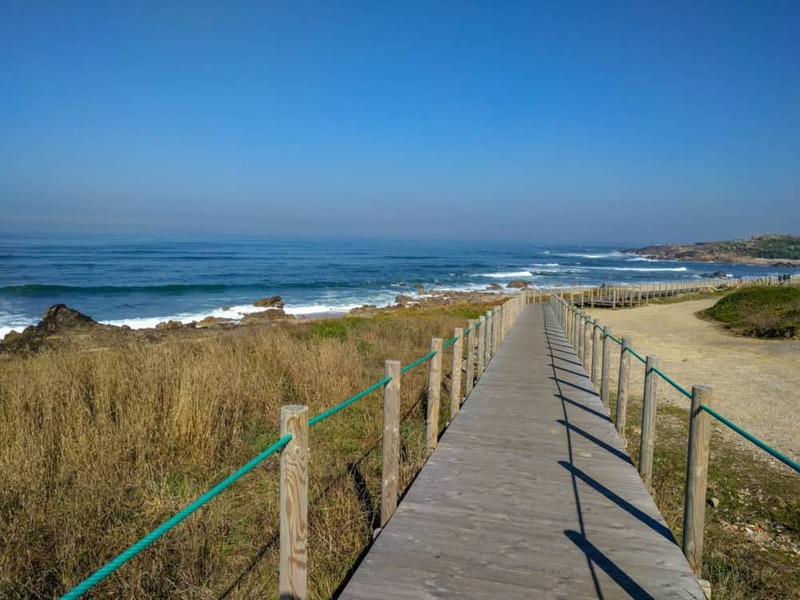 I was only planning to do around 300km, that’s why I thought to do the coastal route then from the Santiago de Compostela down to the beach if I have time. If I am being honest I really cannot decide. I am 22 years old and I hike regularly. However, what I love most about hiking is the nature, the coast, the mountains and the beautiful sights encountered along the way. Hence I choose the Portuguese way. Honestly, I think you’ll probably get more out of walking a section of the Camino Frances, both in terms of the “Camino experience” and potentially the landscapes as well. 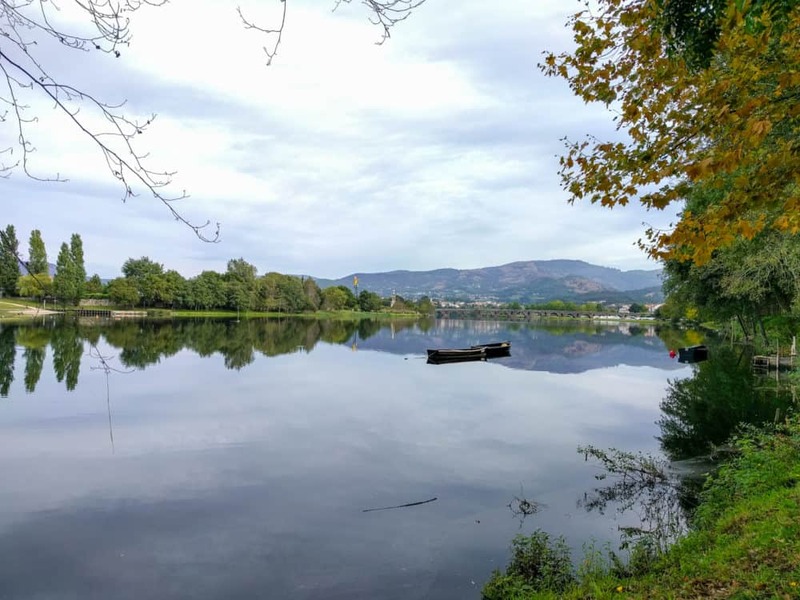 You could look at walking from Saint Jean to Burgos, for example, which gives you the gorgeous walk over the Pyrenees on the first day, or from Leon to Santiago, which takes in some lovely parts of Galicia. Both of those are roughly 300km. If you’re looking at the second option and want to take in the walk to the coast as well (which really is great), you can either give yourself more time if you’ve got it, or maybe start in one of the towns a little past Leon. Only other thing I’d mention is consider the time of year — things are always busier in the last section, especially the last 100km from Saria, and especially so in July and August. If you’re walking around that time, perhaps consider a different part of the Frances, or indeed a different route entirely. I'm Dave Dean. In 2011 I quit my job, sold everything I owned, and set off to live, work and wander round the world, armed with a backpack, a good pair of boots, and no return ticket. ©2009-2019 TRAVEL TECH MEDIA LIMITED. WHAT'S DAVE DOING? IS A BRAND OF TRAVEL TECH MEDIA LIMITED.